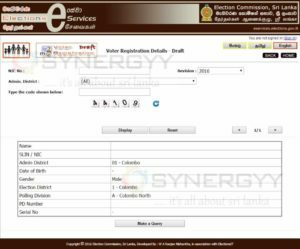 The Department of Elections has made a new facility to check your eligibility of vote by online, Yes for the first time in Sri Lanka you can check whether your name is in voters list or not. If your name is not in list you can report a complain online and rectified your voting rights too. it’s a great facility for you to get to know is your name correctly recorded in voters list or check out is your name has been registered in wrong location. After 30th October 2016 all passengers are requested to make their bookings/amendments by logging on to www.srilankan.com or by calling its 24hour global contact center on 1979 for further assistance. All the war apparatus of the LTTE displayed in the Mullaithivu war museum had been removed from there by today. This war Museum were located in Mullaithivu and displayed fighter boats manufactured by the LTTE and also their heavy weapons other than the weapons seized from the army. In recent times the fighter boats were gradually removed while all the war apparatus had been removed now and the area was completely demolished. Health Minister stated to the media that a Cabinet paper proposing to increase the price of a cigarette by Rs. 5 and the VAT on cigarettes upto 15% would be presented to Cabinet sooner. It is learn that the Cabinet sub-committee that had been appointed to implement a proposal to increase the tax levy on tobacco companies to 90 per cent had recommended that the price of a cigarette be put up by Rs 5 and to increase VAT levy on cigarettes to 15%. The Secretary to the Ministry of Power and Renewable Energy stated to the media that President Maithripala Sirisena had held talks with Indian Prime Minister Narendra Modi, and together they had agreed to put a stop to the construction of the project in Sampur. Subsequently, the Indian government had extended willingness for a wind power plant instead of a Coal Power Plant in Sampur. And the villagers in Sampur stated to the media that they were not against the setting up of a solar power plant or a wind operated power plant instead of the proposed coal power plant which was recently ordered to be stopped owing to environmental concerns. And they further stated that they believed that setting up a solar power plant or a wind power plant would not have a negative impact on the environment that a coal power plant would have had, just because they were opposed to the coal power plant coming up in Sampur, they were not against the development projects carried out by the government. It’s a good movement by the government of srilanka to looking forward with renewable energy options than the coal power plant options. But the huge question ahead is how government is going to solve energy requirement of country in long run. How many Three Wheelers in Sri Lanka? It is everyone’s question that how many Three-wheelers are in Sri Lanka? the answer is 1.06 Million (1,062,447) as now (Year 2016). In Sri Lanka total automobile are 6.3 Million, of which 3.3 Millions are Motor cycles and 1.06 millions of three wheelers. The motor Traffic department stated that around 4.3 Million out of 6.3 Million vehicles are always on the move. Due to the gradual increment of tricycles registrations in Sri Lanka; Ministry of transport launched a programme to provide special licensees for three wheeler taxis along with proper training in road discipline, accident prevention and first aid. 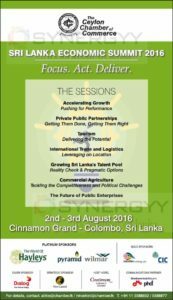 Posted on September 26, 2016 Categories NEWS, Sri Lanka News, Srilanka Developments and Releated News, Vehicle for saleTags breaking news, breaking news today, business articles, business new, business news, business news today, current news, daily news, financial news, gossip, gossip e news, gossip news, hotnews, international business news, latest business news, latest important news, latest news, latest news on today, latest news today, local news, new news, news, news articles, news gossip, news headlines today, news paper, news stories, news today, news update, recent news, recent world news, the news, today business news, today hot news, today news, today's headline news, today's news headlines, top news today, uk business news, world business news, world latest news, world news, world news today, world news today liveLeave a comment on How many Three Wheelers in Sri Lanka? The laying of the foundation stones for the first stage of the technological city planned under the Western Megapolis Project and the opening of the Nano Investigation Laboratory took place under the patronage of Prime Minister Ranil Wickremesinghe at Pitipana, Homagama. Foundation stones were laid for five technological centres including a national science centre, a satellite centre and technological universities. Moratuwa and Sri Jayawardenapura Universities and the Arthur C. Clarke Centre are scheduled to launch science and technology projects affiliated to the proposed National Science Centre. The Urban Development Authority will provide 25 acres each for building the three universities and 10 acres each to the other technological institutes. The Sri Jayewardenepura University will invest Rs. 7,500 million, Colombo University Rs. 2,096 million, Science and Technology Ministry Rs. 3,000 million and the Sir Arthur C. Clarke Centre will invest Rs. 1,700 million during the first stage. A total of 1,000 acres have been allocated for the Technological City and the UDA is presently involved in the acquisition of land for this purpose. The land area covered by the entire project is 1,200 acres. It is planned to build a four lane road complex to Uduwana from the Makumbura exchange of the Southern Expressway to facilitate the development of infrastructure facilities at the Technological City. 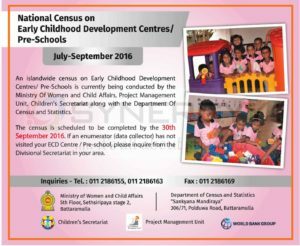 An islandwide census on Early Childhood Development Centres/ Pre-Schools is currently being conducted by the Ministry Of Women and Child Affairs, Project Management Unit, Children’s Secretariat along with the Department Of Census and Statistics. The census is scheduled to be completed by the 30th September 2016. If an enumerator (data collector) has not visited your ECD Centre / Pre-school, please inquire from the Divisional Secretariat in your area. Payment and Settlements Department of Central Bank of Sri Lanka advises to general public to use payment card as much as possible; to avoid many problems such as shortage of coins, hassle to use cash, inconvenience to carry cash, not receiving change money, fear of cash being stolen. The Payment cards can be issued only by institutions licensed by the Central Bank of Sri Lanka to issue payment cards. Currently 16 million payment cards are in use 60 million transactions take place annually using payment cards. 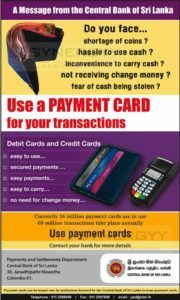 Contact your bank for more details about the payment cards. For more details contact to Payments and Settlements Department, Central Bank of Sri Lanka, #30, Janadhipathi Mawatha, Colombo 01. Srilankan Airlines wishes to advise its valued customers of changes to its schedule over a three-month period commencing from 06th January 2017 to 06th April 2017,due to the closure of Colombo’s Bandaranaike International Airport from 08:30 hours to 16:30 hours each day for maintenance work on the runway. The Malaysian entry visa fee has been increased by Rs. 900 for Sri Lankans again. The company which handles the Malaysian visa says that this was due to VAT been imposed by the government on them. The Malaysian visa which was earlier issued by the High Commission was around Rs.600 and as soon as it was given to the private company the fee increased to Rs. 4,600. Later they also requested Sri Lankans to obtain traveller’s cheques to the value of Rs. 75,000 and several other documentation, similar to requirements of a European Embassy, making the traveller seek alternative destinations to travel. Generally, there are 300 to 350 applications per day which are submitted through individuals and travel agencies. As for the peak season the number of applications will drastically increase up to 500 to 600 per day. The Embassy emphasised that the submission of fake documents is a crime against the Embassy which is a government office and the Embassy will immediately stop issuing visas to travel agencies or individuals who submit fake documents to the Embassy. Indonesia has extended a free visa on arrival policy for Sri Lankans from late April. On a recommendation of the Sub-committee on Economic Affairs, ground handling activities of the Bandaranaike International Airport (BIA) handed over to the Airport and Aviation Services (Sri Lanka) Limited (AASL). Consequent to this recommendation, all ground handling activities at the BIA, currently performed by SriLankan Airlines, would be transferred to the AASL. The Cabinet has approved the proposal by the Megapolis Project to introduce a Light Rail Transit (LRT) system for mass transit in the Western Province. While the long term plan developed by the Megapolis team includes an LRT network of approximately 75kms. The initial investment is to cover around 25kms, connecting Fort, Kollupitiya, Bambalapitiya, Borella, Maradana, Rajagiriya, Battaranmlla and Malabe. The LRT system is also expected to interconnect with the rail and bus networks to provide part of an integrated solution. The government will looking for financing from Japan for the LRT. The Megapolis transport strategy places a sharp focus on improvement of mass transit. The overall plan includes introduction of a light rail system, electrification of railways, modernisation of the bus transportation system as well as an introduction of canal transport. It also includes the implementation of some immediate measures such as introduction of CCTV monitoring to strengthen enforcement, introduction of staggered working hours, synchronisation of traffic. Light rail, also referred to as light metro, is a proven I technology used in many countries as the preferred mode of mass transit. It forms the backbone of transport networks in Bangkok, Kuala Lumpur, New Delhi, Calgary, Gold Coast, Dallas, Los Angeles and many other major cities worldwide. Dr. Indrajit Coomaraswamy has been appointed as Governor of Central Bank of Sri Lanka by President today July 2, 2016. 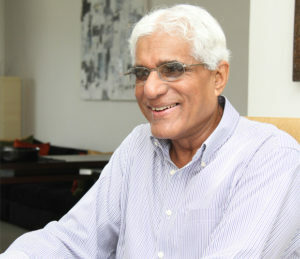 Dr. Indrajit Coomaraswamy born April 3, 1950 hails from one of the country’s most respected Tamil families and the son of the iconic diplomat ‘ Roving Raju’, is one of Sri Lanka’s best known and most respected economists. Dr Coomaraswamy Educated at the Royal College, Colombo and at Harrow School in England, he gained his undergraduate degree at Cambridge University and obtained his Doctorate at the University of Sussex. Joining the Central Bank of Sri Lanka in 1973 he served in the Economic Research, Statistics and Bank Supervision Divisions as a staff officer till 1989. From 1981 to 1989 he was seconded to the Ministry of Finance and Planning. Thereafter he worked for the Commonwealth Secretariat from 1990–2008, holding the posts of Director, Economic Affairs Division and Deputy-Director, Secretary-General’s Office and was brought back to the Commonwealth Secretariat to head the Social Transformation Programme Division, as Interim Director. Dr. Coomaraswamy was an independent non-executive director of JKH and Tokyo Cement. He is also associated with several think tanks. SriLankan Airlines will suspend flights to Frankfurt and Paris. Accordingly, the last flight between Frankfurt and Colombo will be on October 30, and the last flight from Paris to Colombo on November 6. Sri Lankan Airline publish a statement stated that the Government of Sri Lanka has made it clear that it will no longer fund continuing losses…the route network is being continuously evaluated in the context of changing market dynamics in order to maximize on sustainable routes which bring in more contribution towards the bottom line. It said that while the drop in fuel prices had contributed to improved performance, that benefit was significantly eroded with the airline’s revenue for the financial year ending 2015/16 declining when compared to the previous year. however SriLankan operates daily flights to both Doha and Abu Dhabi and has a strong code share relationship with Etihad and Qatar through which it will continue to provide onward connectivity to the European destinations it has been serving via Paris and Frankfurt. And London will remain the Airline’s gateway to Europe, where the Airline has deployed its state-of-the-art A330-300 fleet for daily non-stop operations, providing a greater comfort and an enhanced flying experience to its passengers. Health Minister Dr. Rajitha Senaratne stated to the media that Sri Lankan nurses will be trained at the British Council and provided jobs in the UK, He further said that arrangements have also been made to provide jobs for nurses in the US, through a private nursing faculty. Minister assure that the nursing faculty will be establish in Sri Lanka at a cost of Rs. 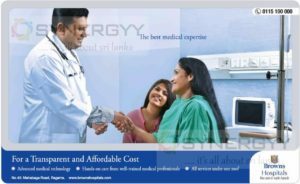 12,500 million for educating and provide international standard qualification to Sri Lanka Nurses. As now Sri Lanka has recorded the highest foreign currency earning from remittance of domestic workers who works in aboard. If Sri Lanka is focusing to offer a professional services to aboard, then the foreign currency income will increase and it will support to the sri lanka economy. But in overall the Sri Lanka Government should develop new policies to take care the workers who traveling aboard for works. Department of Census and Statistics announces that the life expectancy of Srilankan males and females has increased since 2001. The new life expectancy of Srilankan male is 72 years and female is 78.6 years which were 68.8 and 77.2 in 2001.
it is observe srilanka is emerging towards elder generation and it is government responsibility to improve the health care and elderly support services for the new segments. Finance Ministry stated that the state run airline Mihin Lanka has recorded a loss of Rs. 17 Billion over its 7 years operation. Finance Ministry said it had been given a Rs. 15 Billion letter of comfort in 2015 to continue its operations and the ministry is expected to reduce losses to Rs. 938 million, from Rs. 1.48 Billion in last year. Ministry of Health made an announcement that it is mandatory to have a colour code in the sugary drinks based on its sugar contains. The registration forms for the Korean Language Proficiency Examination will issue from 20th to 23rd June 2016 via 15 Foreign Employment Bureau centres islandwide such as Anuradhapura, Badulla, Kandy, Matara, Ratnapura, Galle, Kadawatha, Seeduwa,Tangalle, Kurunegala, Trincomalee, Vavuniya, Jaffna and Polonnaruwa. Due to major fraud and illegal business done by thired party businesses, Foreign Employment Bureau advise the applicant to obtain information only from the Foreign Employment Bureau. Parents/ Legal Guardians who expect to admit their children to Grade One in schools in year 2017 should forward their applications prepared in conformity with the specimen form and according to the instructions given in this notification addressed to the relevant Heads of Schools by registered post to reach them before 30th June 2016. The applicant of child should have completed 05 years of age as at 31st Jan. 2017. Birth certificate of the child should be forwarded in confirmation of the same. From the first interview, 34 children will be selected for each grade one class (for all grade one parallel classes). In addition, 05 more children selected from among children of those who were in operation areas in armed forces and the police will be admitted, totaling up to 39 per class. 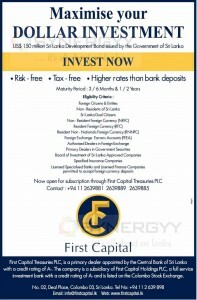 First Capital Treasuries PLC invites potential investors in Sri lanka and aboard to invest on US$ 150 million Sri Lanka Development Bond. 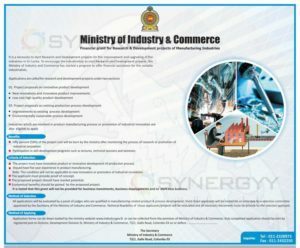 This Sri lanka Development Bond is a Risk – free, Tax – free, Higher rates than bank deposits and its available for the period of 3Months, 6 Months, 1Year and 2 Years.